Who's really behind the glitz and the glam of the Miss Texas pageant? 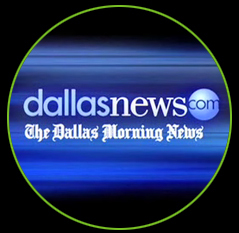 Three years later, The Dallas Morning News catches Troy Richard O'Neil in the act. Doing what? He's been adding glitz and glam to the Miss Texas Pageant for 3 years. Now it can't be denied. The secret is out. Now the whole world knows how 6 very lucky contestants prepared for the judges. Yep, it's the Troy Richard Salon. Last year, Troy got to go to Miss Texas, then on to Miss America with a former contestant, Shilah Phillips who won Miss Texas, then on to Las Vegas to do her hair and make-up for the Miss America Pageant. 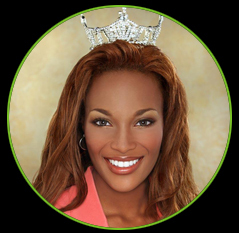 (1st African-American to hold Miss Texas Title) was named first runner-up in January 2007 - No wonder the Dallas Morning News caught on! And with over 15 years of experience, it's really a no-brainer. About half of the contestants have hairstylists working out of their hotel rooms the week of the pageant. Some Miss Texas hopefuls receive free hair styling and beauty counseling throughout their reigning year. Many get discounts from local salons. Others hire hairstylists to train them. And then there are those who – gasp – do their own hair... OMG! Troy says "it's not just about winning the title of Miss Texas,it's about becoming who they are going to be; being the best people they can be; the best young women they can be. And it's going to help them in their career; it's going to help them with interviewing for positions that they are trying to get within a company." Troy Richard Salon owner Troy Richard O'Neil styled contestants in the Miss Texas pageant for Brittany Forrester - Miss North Texas, Lea Ciskowski - Miss Teen Frisco, and Brooks Dennard - Miss Frisco. Behind the glitz and glam of the pageant lies a small army of trusted confidants and fashion gurus – the hairstylists. From coloring to curling to extensions, stylists often dedicate an entire week to primping and prepping. Stylists arrive fully loaded with curling irons, mousses, shine serums, gels and, above all, hairspray. Lots of hairspray. The hairstylists put in a lot of work leading up to Miss Texas, especially because nearly all the girls have their hair cut and colored. Troy dyed Ms. Dennard's hair three shades of red before the competition. The first was too bright. The second was too dark. The third was just right. Relationships between hairstylists and pageant contestants are more than skin, or scalp, deep. Troy and his roommate, Ricardo Tomas - The Wedding Architect, who sits on the Miss Plano Frisco Scholarship Organization's board, invite the regional winners to stay in their house to prepare for the Miss Texas pageant. Ms. Dennard lived there for a month. "It was almost like Camp Miss Texas," she says. Not only does Mr. O'Neil help her train and stay focused, they also watch the reality TV series So You Think You Can Dance together every week. has been a hairstylist for some of North Texas' most beautiful women entered in the Miss Texas contest. About the author: Troy Richard Salon is your premier, upscale, full-service salon with the perfect team of Hair Designers, Stylist, Color Specialist, Brazilian Blowout, Great Lengths Extension Specialist, Nail Techs, Airbrush Tanning, and everything you need to love your look. Troy Richard Salon is located at 1279 Legacy Drive, Suite 120, Frisco, Texas 75034 in Stonebriar Commons. Troy Richard Salon; the difference between everyday looks, and one that's extraordinary.